People with very busy schedules will know it too well. How food is the last thing on your mind, when you have a million things to do. Although I admit food would still be the first thing on my mind whenever i'm busy (fail), I'll only limit myself to ordering a takeaway or delivery because I simply don't have the time to cook. Yes, there's the usual high-sodium and super unhealthy instant noodles sitting in the cupboard tempting me. But what if you're stuck in a 1.5 months long finals? or if you're overseas and craving your favorite local Asian cuisines? That would be a disaster, ain't it? But what if you can get healthier options that are quick, maybe even quicker than waiting for a delivery to arrive or running out to get a takeout? AND WHAT IF I TOLD YOU THAT IT IS SUPER YUMMY AND MIGHT BE EVEN YUMMIER THAN THE ONES YOU CAN GET OUTSIDE? 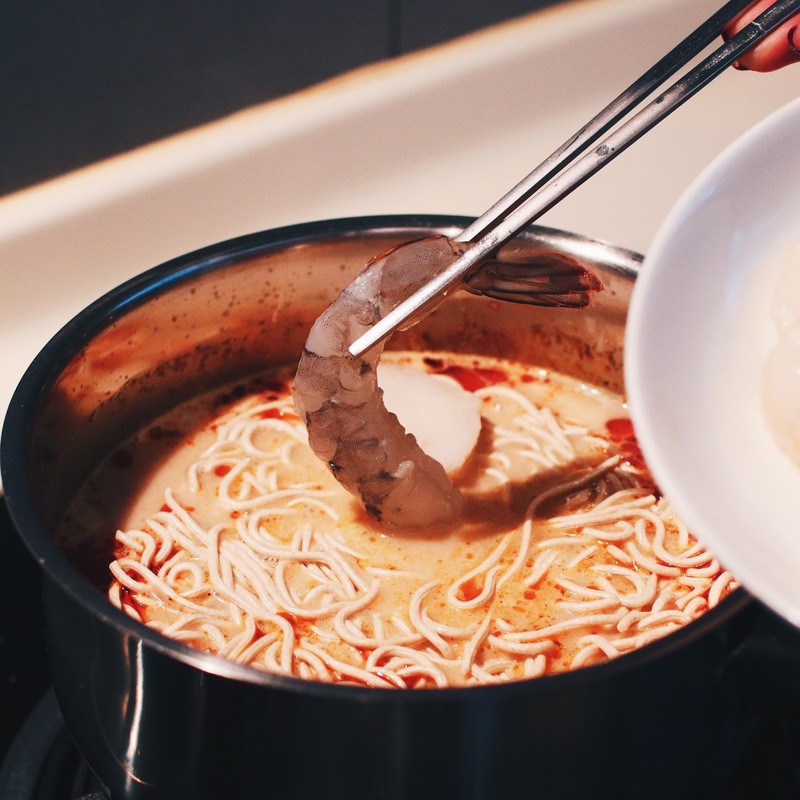 If you followed closely and watched the Boyfriend Tag I did 3 years ago (gasps) , you will know that my favorite food is LAKSA. 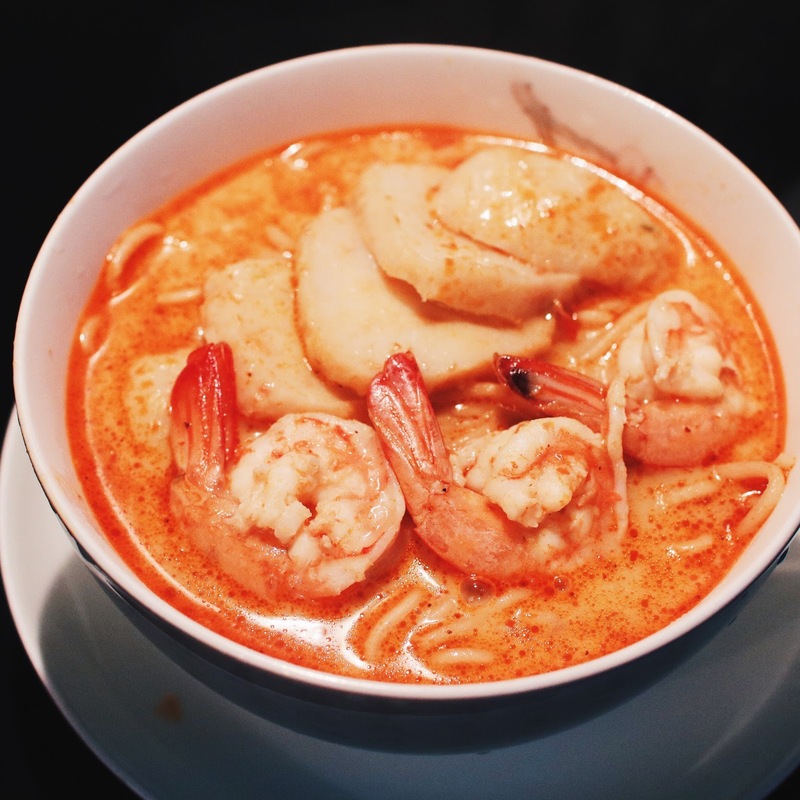 Strangely though, finding good Laksa can be quite a challenge especially in the recent years. 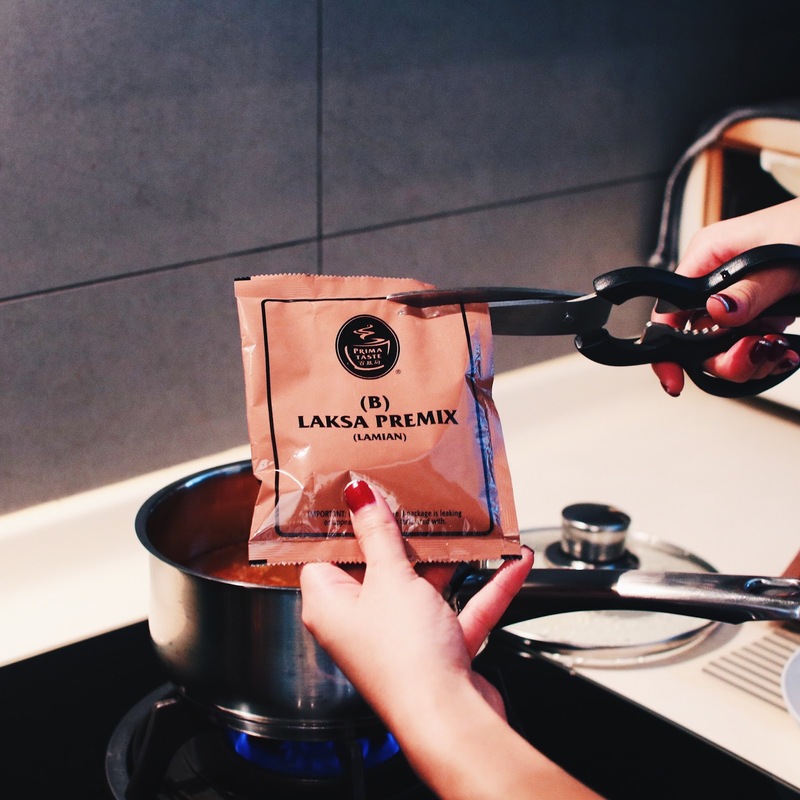 Seeing a sleek, black packet of Laksa in my box from Prima Taste, I decided to try that out first. 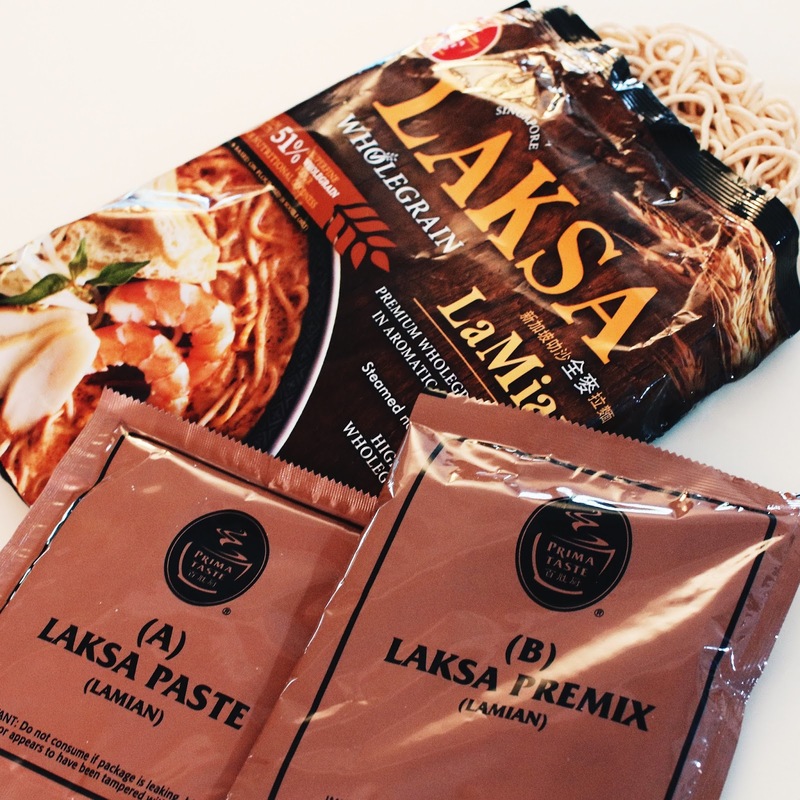 This packet of Laksa is different , because it is made with Wholegrain La Mian! Made with 51% superfine wholegrain flour, just a packet alone will satisfy an adult's daily recommended wholegrain requirements which makes it a much healthier choice. 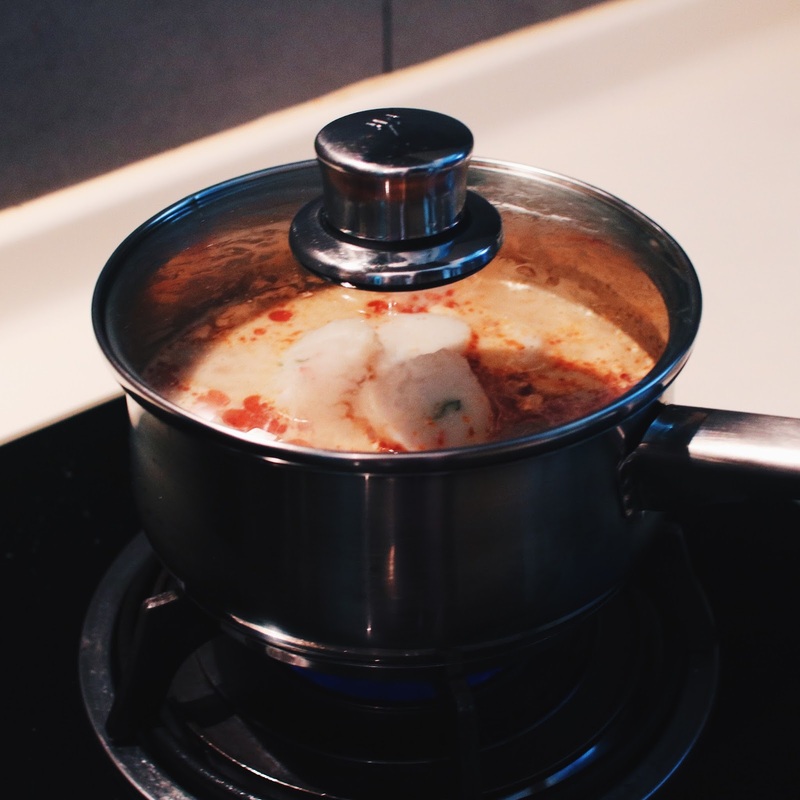 Being steamed, instead of fried, we already know how much less oil and unhealthy ingredients we're avoiding with this. Following the Instructions at the back of the packet, I cooked my delicious and hearty Laksa La Mian seamlessly! I also decided to add in more ingredients to turn up the level of enjoyment hehe. Because, why not right? Could only find prawns and a small slice of fish cake in my fridge that day. But if you have other ingredients like egg, beansprouts, tau pok etc it'll be even better! Then again if you don't have these extra ingredients, not to worry because the noodles and soup alone is already SOOO TASTY ! Let me tell you, this in fact tasted so much better than so many other Laksa(s) i've tried in hawker centres, coffee shops and even restaurants. 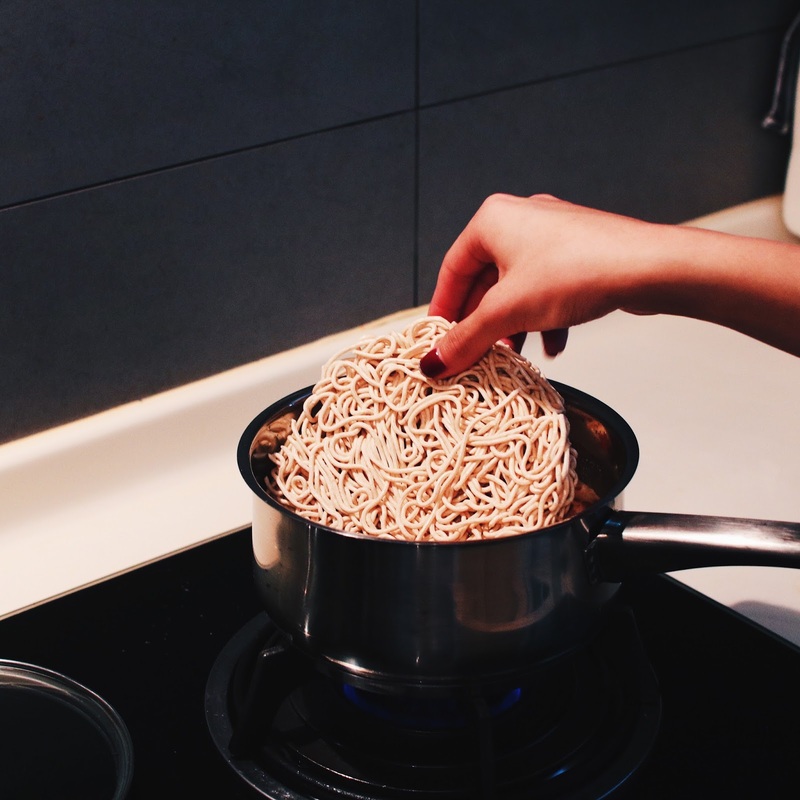 Even though the noodles are made with wholegrain flour, it does not have the coarseness that usually come with wholegrain foods. Surprisingly the noodles were really smooth and springy! Apart from the Wholegrain Laksa La Mian, Prima Taste has a wide range of Ready Meals like the Beef Rendang, Nonya Sambal Chicken, Chicken Claypot Rice etc that are all equally as delicious. 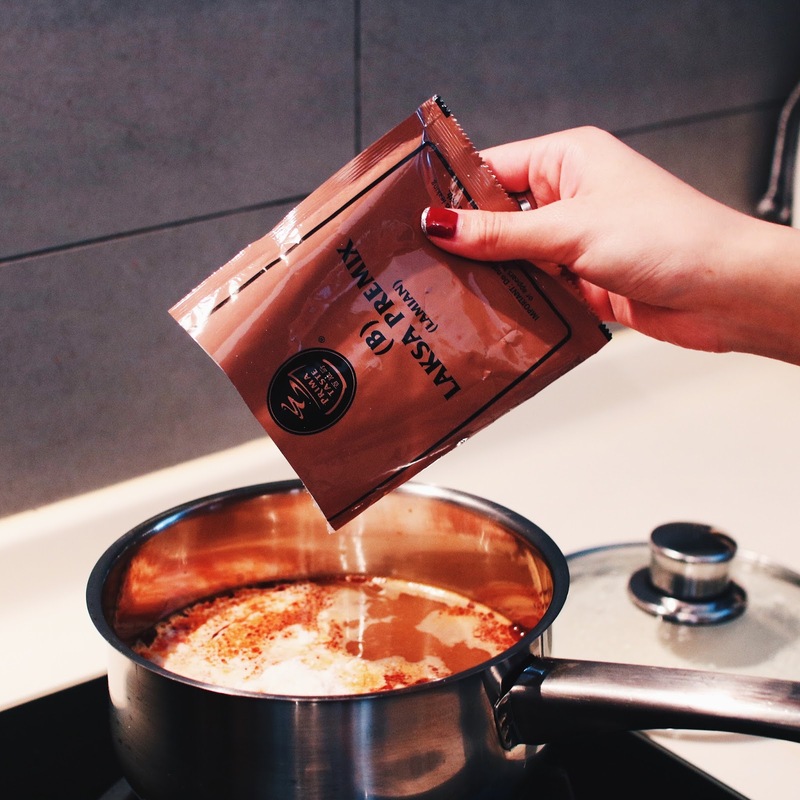 These ready meals can be made in just 90seconds, by boiling or microwaving and they are also a much healthier alternative as they contain 20% basmati rice, 5% multi-grains, dietary & soluble fibres and prebiotics that are good for our body. After my experience with their Laksa and the rest of the variants that are i've tried, I am convinced that everyone need these in their lives. So here's why. Prima Taste Wholegrain La Mian are made with wholegrains that have a rich history of nutritional benefits such as aiding digestion, promoting cardiovascular health and prevents over-eating! On top of that, Ready Meals contain 20% basmati rice and 5% multi-grains that are low in GI , with added dietary and soluble fibres as well as prebiotics that aid in strengthening the immune system by encouraging growth of good bacteria in our guts to promote healthy bowel functions. Curry Chicken with Rice, Nonya Sambal Chicken with Rice & Beef Rendang with Rice are also endorsed with the Healthier Choice Symbol, so you can be rest assured that you're feeding your body with the best it can get, with no added MSG and Preservation, something I always struggle with when it comes to instant, ready made meals. 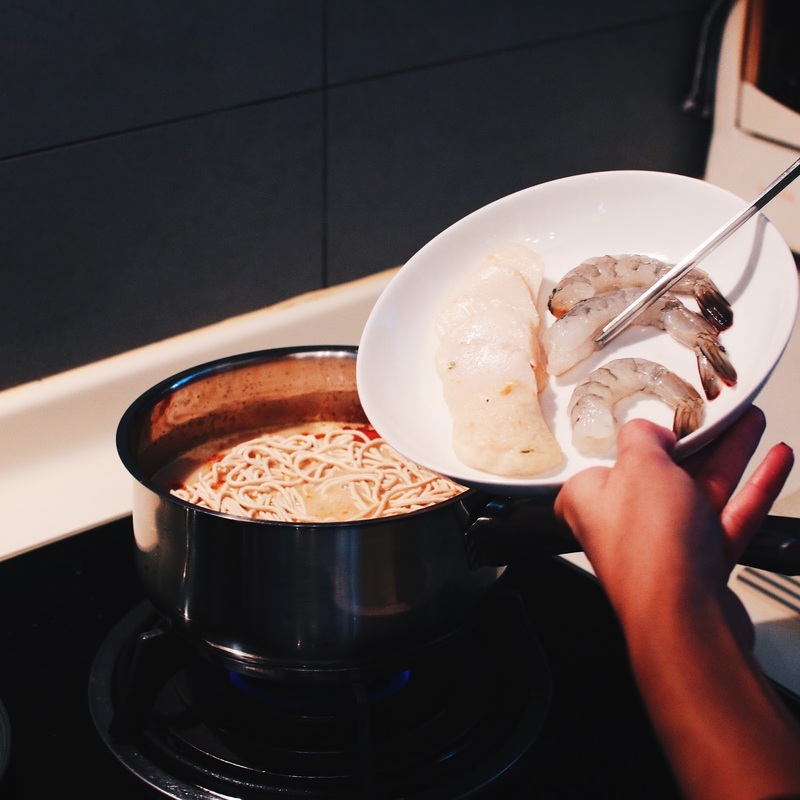 I literally made my Laksa in less than 10 minutes. That can be even quicker than running elsewhere to order a takeaway! 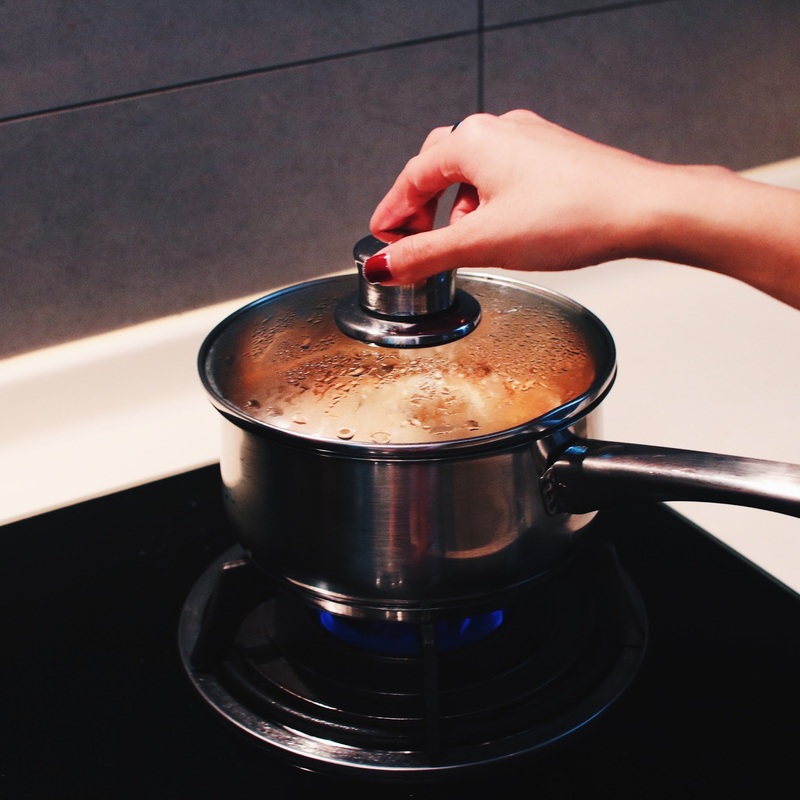 On top of that, Ready Meals can be prepared in 2 ways, in only 90 Seconds! 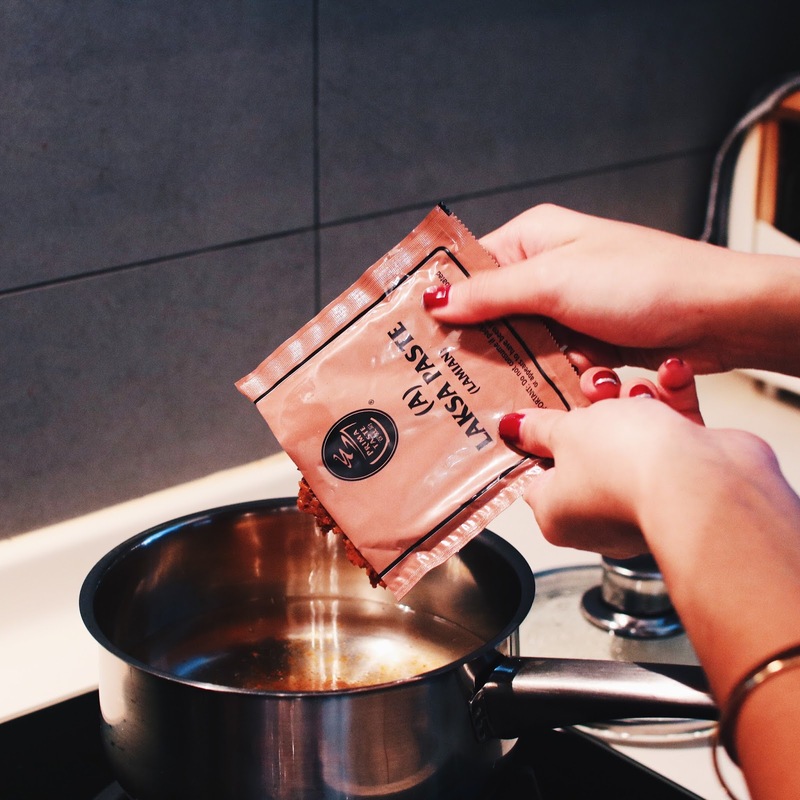 Microwave or boil it as you'd like, and if you're always on-the-go, these ready meals can even be eaten straight out of the packet. One thing that impressed me was the portion of each Prima Taste meal. While I understand that everyone is entitled to their own definition of "generous", this has gotta be the most filling instant, ready meal i've had. The ready meals come with a decent amount of rice and meat in one pack. Yes, even meat! You get a hearty, nice complete meal in just 90seconds, ain't that amazing? I love you, Prima Taste! You can find Prima Taste's products in selected NTUC Fairprice outlets in Singapore at $12.25 for pack of 4 of Wholegrain La Mian, and $6.50 per pack for Ready Meals. 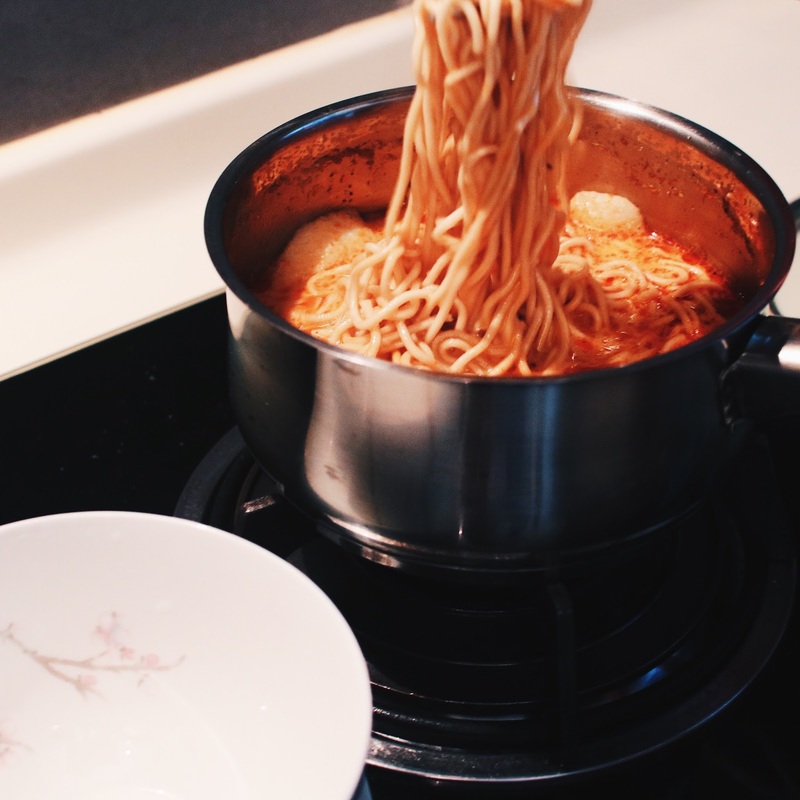 Have a lovely, hearty meal everyone! This post is brought to you by Mongabong and Prima Taste.